AccPro Computer Systems Pte Ltd comprises a team of experienced industry professionals and technical experts specializing in different Information Technology aspects. 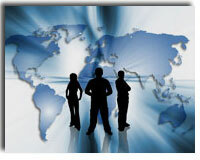 Our mission is to provide the world with the best software possible; engineered with tools of latest technology. Such software will enable them to be more efficient and productive in handling their business tasks. AccPro Computer Systems Private Limited (formerly known as Management Computer Systems) is established since 1988 and incorporated as Private Limited Company in 1993. For the past 24 years of operation, we valued all our clients by improving our customer service, software quality as well as providing the most advanced features available for the most recent platform and architecture within our software. Being an one-stop IT solutions provider, we supply a wide range of business applications, networking services & support, web solutions and other tools to meet the demand of our clientele, as well as to create an ergonomical and perfect working technologies and environment for all our customers. Till today, we have successfully marketed and distributed our business applications to many industries. With the success of our current applications available in the market, we continue to engineer new products to benefit more customers. Our team of technical experts are always ready to serve any of our customers. We provide dial-in, on-line, real-time and on-site support for all customers, in order not to miss any of your important requests. Our marketing team, the one that has successfully marketed all our products, is always expanding and progressing. They always try to fullfill your needs and wants, through providing our best solutions.